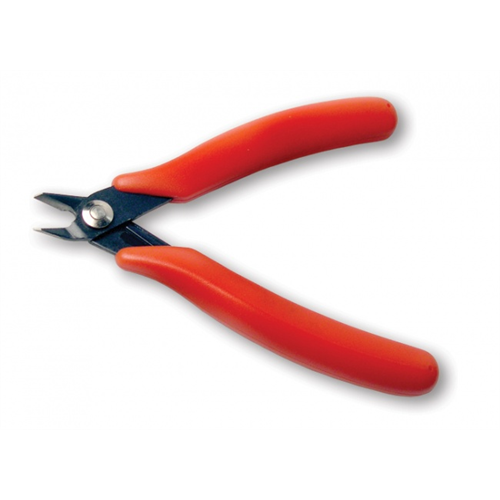 These 5 inch side cutting pliers are perfect for cutting copper wire or trimming leads with full flush cutting blades. Made from precision ground high carbon tool steel for long life. The molded comfort grip handle and spring action makes it easier to use. This tool is designed to cut copper wire up to 16 AWG, making it perfect for network cable terminations, alarm wire terminations, telephone wire terminations and similar work.